Local news: MSP for Children and Early Years visit; results of the lamb sale; An Iodhlann’s new place names project by Iona Brown; Tiree competitors at Mull half marathon; dates for forthcoming Tiree Wave Classic; community windturbine works progress; Girl Guides reunion on Tiree in 2010; Canadian funders assist An Iodhlann’s genealogy records; Windsurf Club update; information about Tiree High School gala day. 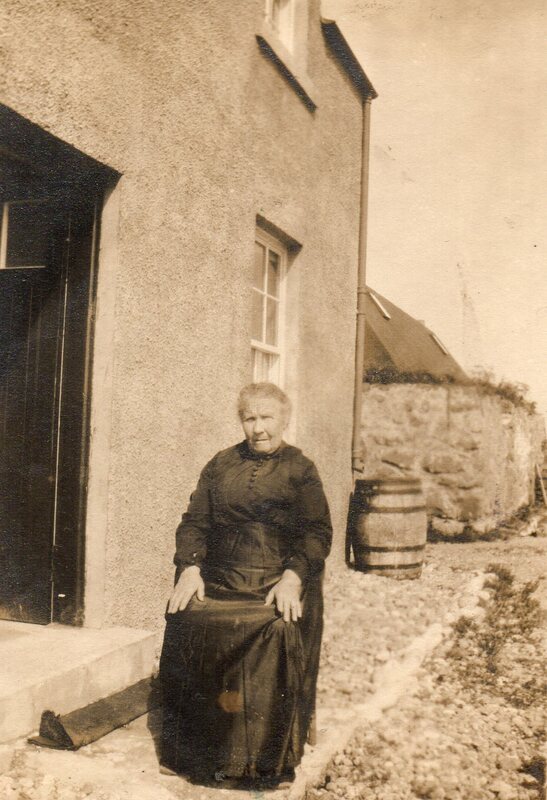 Black & white photograph of Isabella MacPhail (nee MacLean) of Mull sitting outside her home at Clachan in the 1930s. Isabella was the mother of Captain Lachlan MacPhail, Clachan and Glasgow (1889-1961). The Scots Magazine, June 1965, with an article about Tiree and its people ‘Island of Prosperous Crofters’ by Campbell K Finlay. Includes photographs of Scarinish Harbour: A D Brown, Tobermory (merchant to Tiree); Margaret Brown, Vaul; Malcolm M MacLean, Salum; A H MacPhail, Clachan; A G H Bruton, Lodge Hotel; Travee; coastal cliffs; croft house, Scarinish; Parkhouse, Balephetrish; L J MacFadyen, Kenovay; J L MacInnes, Salum; W MacPhee, gamekeeper; Balephetrish road. Also mentioned in text: Walter Hume, the Reef & An Fhaodhail, primary schools, boarded-out children, island house, sheep, bulb-growing, cottars, income, crofters’ war, snipe shooting, tourism, fishing.